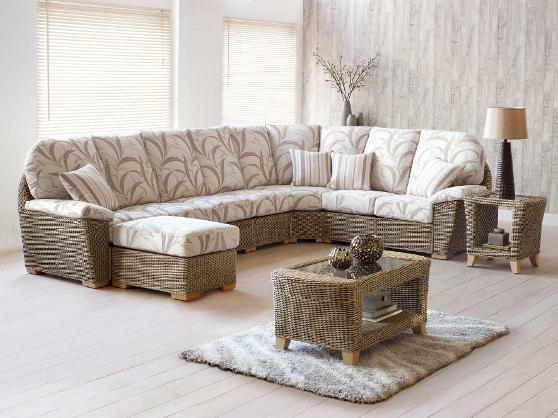 The Largo has many matching accessories and is available as a modular corner set or standard sofa set. Wonderfully comfortable with sumptuous arm pads as standard. Sprung seat. Only available in Natural Wash finish. Shown with Pampas fabric. (Feather option available upon request, please contact office for price).